Starting in 1993, the K models represented a completely new development and a separate model series. Their most notable feature was the water-cooled in-line engine, installed lengthwise and lying flat, with the gearbox flanged directly to the crankcase. A major advantage of this layout, referred to by BMW as “Compact Drive”, was its low centre of gravity. 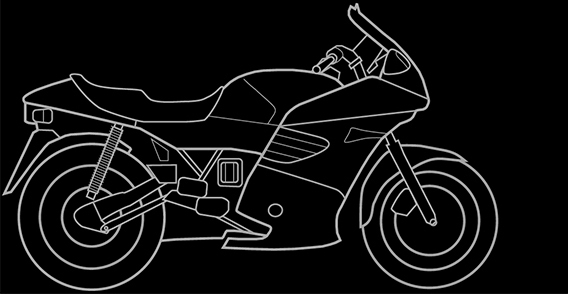 Like all K Series motorcycles, the basic K 100 model, a naked bike without a fairing, had a modern central beam lattice-tube frame as well as a Monolever rear swinging arm. The two-valve four-cylinder power unit developed 66 kW (90 hp). 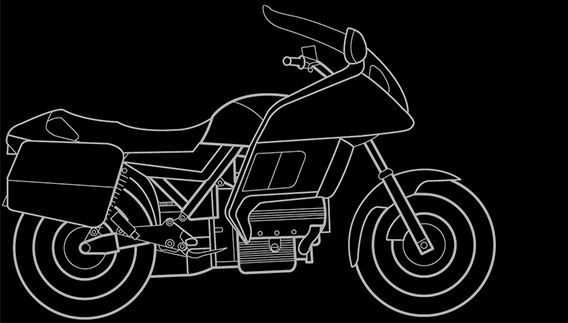 The K 100 RS sports tourer was one of the most successful motorcycles of the 1980s, styled in the wind tunnel for optimum streamlining. Despite its compact dimensions, the fairing offered optimum protection from wind and weather. 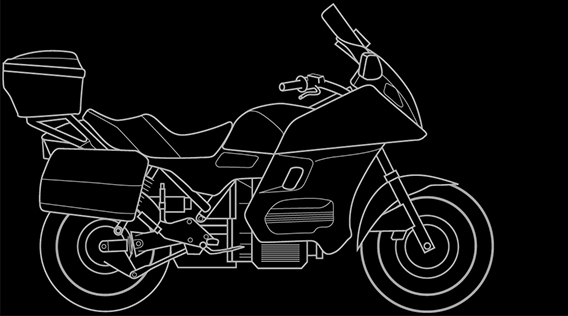 In 1990 the K 100 RS was thoroughly modified, combining all-new technology with its classic fairing. Inter alia, the 74 kW (100 hp) four-valve power unit, Paralever and brakes were adopted from the K 1. Full-fairing tourer available from 1986 as the LT luxury tourer version with an even wider range of features. 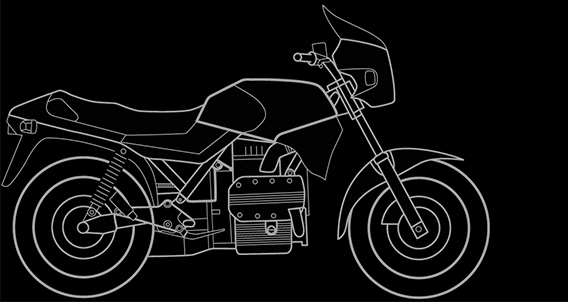 Light three-cylinder version of the K 100 with 740 cc (45.2 cu in) and a small, compact cockpit fairing. The entry level model in the K Series was the K 75 with the same features as the K 75 C but without fairing; also available with lower seat or touring windscreen. Sports version with extra-smooth streamlining. Fitted with engine spoiler and featuring a harder suspension from 1988. 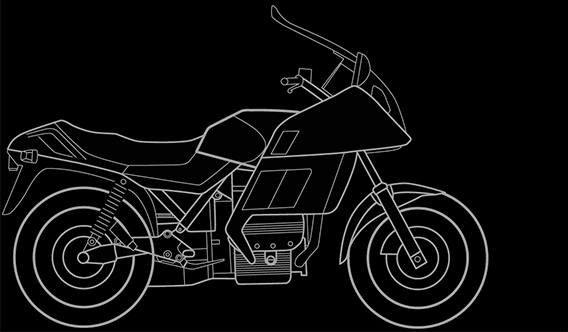 Full-fairing tourer, a downsized version of the K 100 LT.
IFMA 1988: At the major international motorcycle exhibition in Cologne, the avant-garde styling of the K 1 caused quite a stir. Not only in Germany was this advanced high performance variant of the K 100 immediately voted “Motorcycle of the Year”. The K 1 was mainly an image and technology carrier. It had four-valve technology and Digital Engine Electronics, a Paralever rear-wheel swinging arm and four-piston brake calipers. 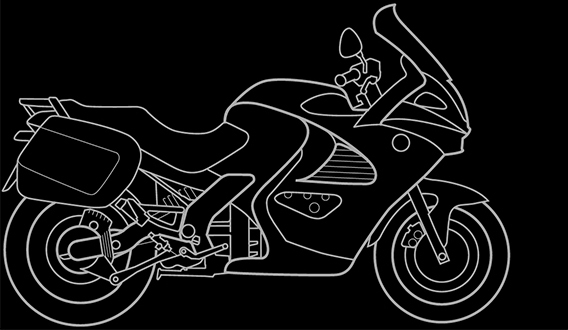 The front wheel cover was integrated in the fully streamlined fairing. The last K 1 was built at the end of model year 1993. Although it was not planned for volume production, it found almost 7,000 keen buyers. The successor to the K 100 LT featured the innovations of the K 1 and K 100 RS, and its engine capacity of 1092 cc (66.6 cu in) made it the largest engine in the company’s history. The fairing included an electrically adjustable windscreen. The K 1200 LT luxury tourer was further upgraded for the 2004 model year in terms of both engine and suspension technology, with further improvements and new, interesting features being added. The absolute technology highlight is the electro hydraulic main stand. Together with its new look and new colors, the K 1200 LT meets the highest demands in terms of superior riding qualities, long distance touring with optimum comfort, and a striking, prestigious look. The K 1100 RS appeared one year after the K 1100 LT. It superseded the K 100 RS. The successor to the K 1100 RS represented the third and most comprehensive stage of evolution in the 13-year career of BMW’s four-cylinder sports tourer. 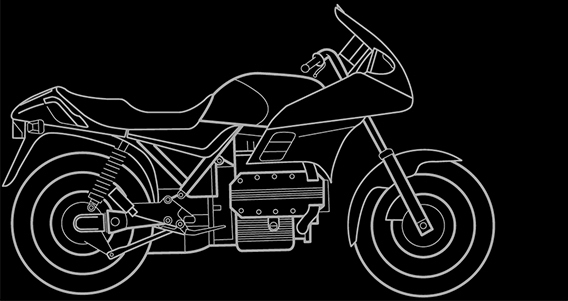 Displacing 1171 cc, the K 1200 RS featured the largest and most powerful engine of all BMW motorcycles so far. For the first time on a K model, BMW Telelever front suspension and an aluminum frame including cast elements were used. 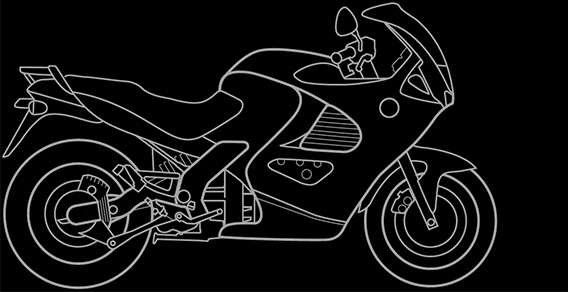 Redesigned in 2001, the K 1200 RS came with improved ergonomics and extended wind and weather protection.The partially integral version of BMW Integral ABS was standard. Completing the K Series range between the K 1200 LT and K 1200 RS, the K 1200 GT was designed for riders seeking to combine maximum agility and dynamics with high touring capability. The “GT” model designation stands for Gran Turismo and is synonymous with refined sporting character combined with high touring comfort for both rider and pillion passenger. The new K series was launched in 2004 with the presentation of the K 1200 S – a sports machine fitted for the first time with a transversely mounted four-cylinder engine and newly developed Duolever front wheel suspension. The completely newly designed high-performance engine develops an impressive 167 hp, and the bike can be ordered as an option with ESA, a system which allows the driver to electronically adjust the spring elements. 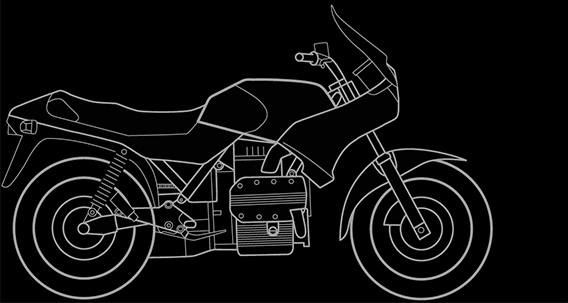 The Duolever system and transverse in-line engine form the basis for the new series. The boldly styled, naked K 1200 R was the next model in the family to appear, followed by the K 1200 GT – a luxurious, yet sporty and dynamic tourer which opened the door to huge average touring speeds. 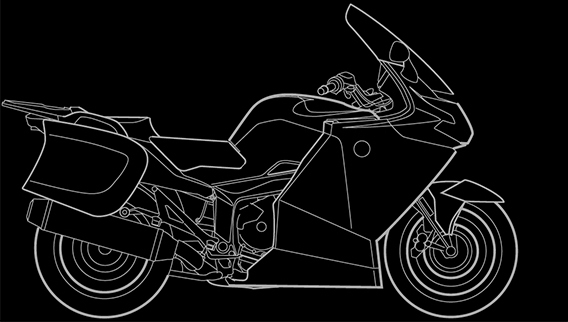 The series was rounded off in 2006 by the half-fairing K 1200 R Sport. A stand-out feature of all the models is extremely impressive straight-line stability at high speeds, which is achieved without any compromise in the bike’s handling. The Duolever front wheel suspension – boasting superior torsional rigidity compared with the conventional telescopic fork – ensures above-average braking stability. 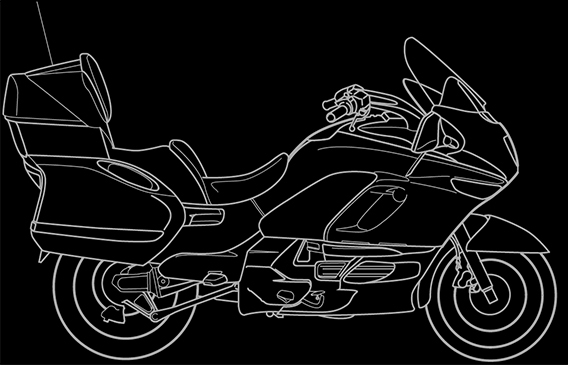 As things stand, the BMW K 1200 S is the most powerful and fastest series-produced BMW ever made. Visually and technically a match for even its most ambitious rivals, the K 1200 S offers not only outstanding sporting expertise but also dynamic touring capability. A popular optional extra ordered for this model is the electronically adjustable chassis system ESA. The street-fighter exterior of the naked K 1200 R gives a hint of its enormous performance potential. Indeed, at launch this was the world’s most powerful naked bike. A relaxed riding position makes riding an “R” a very special experience. BMW Motorrad introduced the K 1200 R Sport to fill the gap between the K 1200 S and K 1200 R. The same relaxed riding position as on the naked K 1200 R is complemented by a half-fairing to provide unbeatable enjoyment on longer, high-speed motorway journeys as well. The K 1200 GT has taken high-calibre touring at BMW into a new dimension dynamically. The richly equipped tourer has slender lines and a case system neatly integrated into the overall concept. The persuasive expertise of its drive system, chassis, brakes and ergonomics earns it the majority vote in comparison tests against its rivals. ABS and an adjustable windshield are both included in the standard specification, and almost all customers also order their K 1200 GT with the electronically adjustable suspension system ESA.